The ancient town of Tragurion (island of goats) was founded as a trading settlement by Greek colonists from the island of Vis in the 3rd century BC on an islet at the western end of the bay of Manios, in a strait between the mainland and one of the Adriatic islands, where there was already a small settlement. The Hellenistic town was enclosed by megalithic walls and its streets were laid out on a Hippodamian grid plan: the line of the ancient cardo maximus is that of the modern main street. The town flourished in the Roman period as an oppidum civium romanorum ; during the late Roman period, it was extended and refortified. Extensive Roman cemeteries have been discovered, and a basilica was erected in one of these. The plan of contemporary Trogir reflects the Hellenistic layout in the location, dimensions, and shapes of its residential blocks. The two ancient main streets, the cardo and the decumanus, are still in use, and paving of the forum has been located by excavation at their intersection. Ancient Tragurion lies at the eastern end of the islet; this spread out in the earlier medieval period. The medieval suburb of Pasike developed to the west on a different alignment and was enclosed by the later fortifications. The port was located on the south side. Finally, the massive Venetian fortifications incorporated the Genoese fortress known as the Camerlengo. Construction of the Cathedral of St Lawrence, built on the site of an earlier basilica and dominating the main square, began around 1200 and was added in the late 16th century. This relatively protracted period of construction has meant that successive architectural styles – Romanesque, Gothic and Renaissance – are all represented. It is a three-aisled basilica, each of the aisles terminating in an apse. Inside the porch at the west end is the baptistry. Of the numerous aristocratic palaces the Cipico Palace, facing the west end of the cathedral, is the most outstanding: it consists of a complex of structures covering an entire town block. Most of it dates back to the 13th century, but some elements of buildings from the late Roman period are incorporated in it. During the 15th century, the owner brought in the three most celebrated artists of the period to embellish its facade and interior. Throughout the town, and in particular round the ramparts, are the palaces of other leading families. Many of these rise directly from the foundations of late classical or Romanesque structures and are in all styles from Gothic to Baroque. Trogir is a very charming city situated on a small island about 30 minutes up the coast from the city of Split. It falls under the category of European ‘old cities’ that would be worth visiting even if they were not to world heritage sites. While founded as a Greek colony, there is nothing left of the original Greek city save for the layout of the town. Today the remaining buildings are of a medieval or renaissance origin. Trogir is a worthwhile stop on any trip to the Dalmatian coast. It is also a 30 minute drive from Croatia’s second biggest city, Split. The Historic City of Trogir is a cultural UNESCO World Heritage Site in Croatia. It is located within the Split-Dalmatia County and was inscribed in 1997 during the 21st session of UNESCO. Trogir is located on an island that is right between the mainland and the island of Ciovo. The historical core of the city is one of the reasons why it earned the recognition from UNESCO. When you walk around the historic town and its streets, it feels like you are stepping back into time. Trogir is also a harbor town. It is located along the coast of the Adriatic Sea and has a population count of about 11,000 people. It is also a popular tourist attraction; in fact, tourism forms a large part of its economy. There are over 20,000 hotels, apartments, and accommodation in the city. 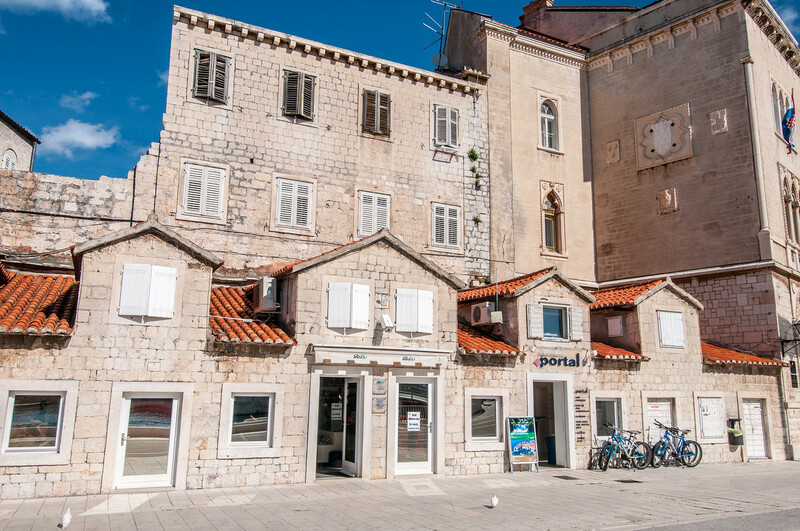 The Historic City of Trogir is filled with houses, structures, and buildings that have preserved its influences from the past. In the 3rd century BC, the town was under the rule of Greek colonists. It developed into a bustling port by the time of the Romans. From there, the city underwent a period of various rulers. All of these influences have embedded itself into the cultural identity of the city. 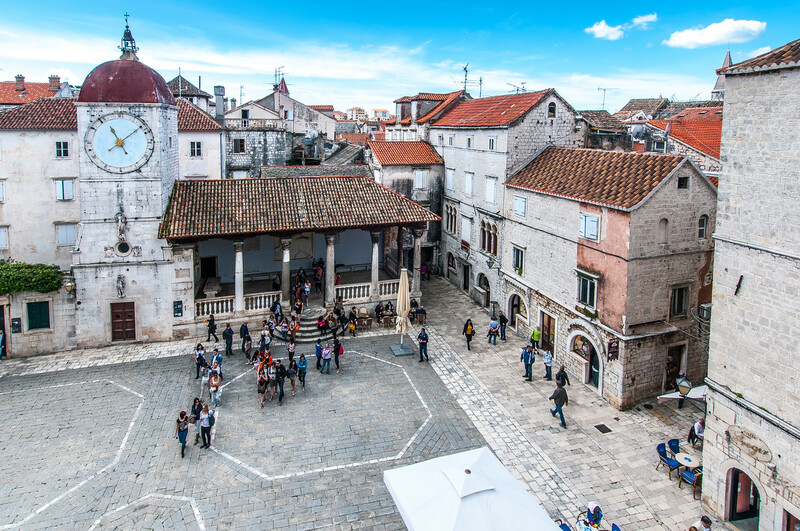 Hence, exploring the Historic City of Trogir will give you a glimpse into these influences, which is most evident in the architectural and urban landscape of the city. 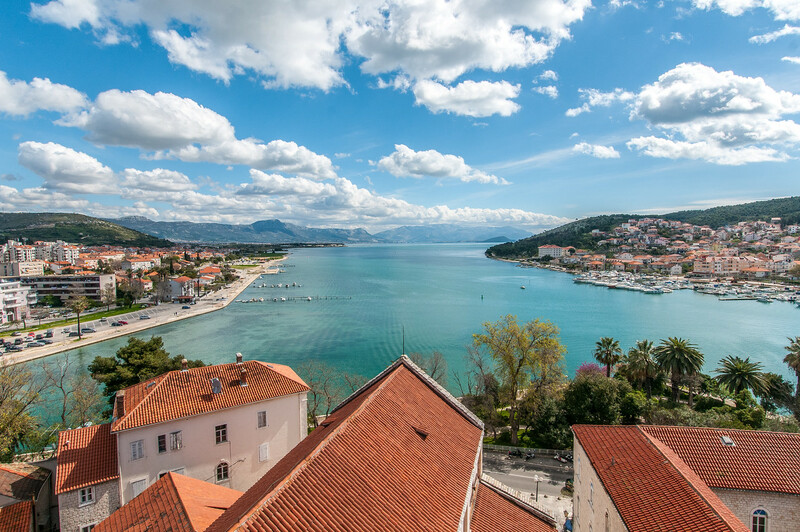 With over 2,300 years of history, the Historic City of Trogir features influences from ancient Greeks, Romans, and Venetians. It has a high level of concentration of important buildings such as palaces, towers, churches, and fortresses. It also features an octagonal street plan that is reminiscent of the settlement type during the Hellenistic period. Meanwhile, the buildings here feature Renaissance, Romanesque, and Baroque architecture. 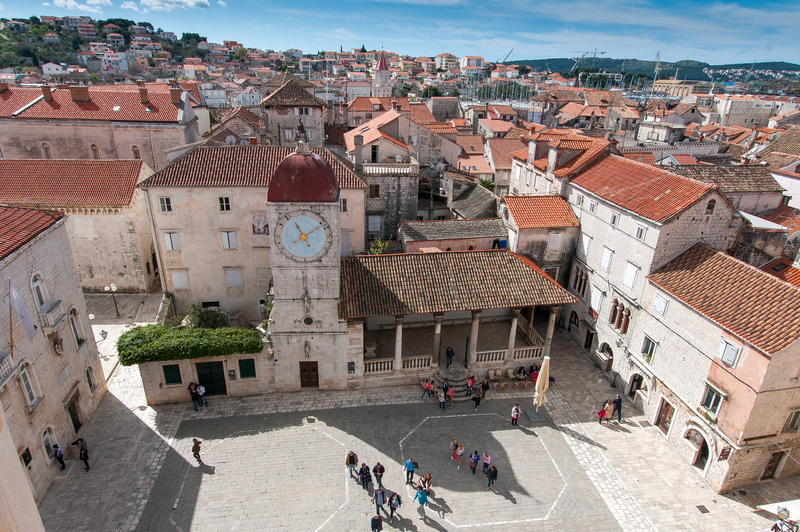 With its history, the Historic City of Trogir is therefore considered as the best example of urban continuity. 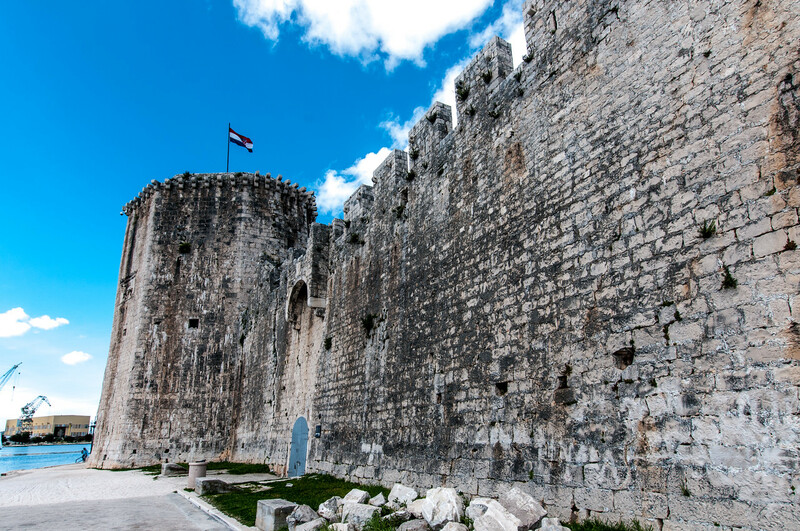 It has absorbed all of the influences from its rulers to form a unique landscape that makes Trogir such an exciting tourist destination today. The fact that it is a fortified island town is partly responsible for its remarkable state of preservation for its cultural heritage. Visit my complete list of UNESCO World Heritage Sites in Croatia.